1. 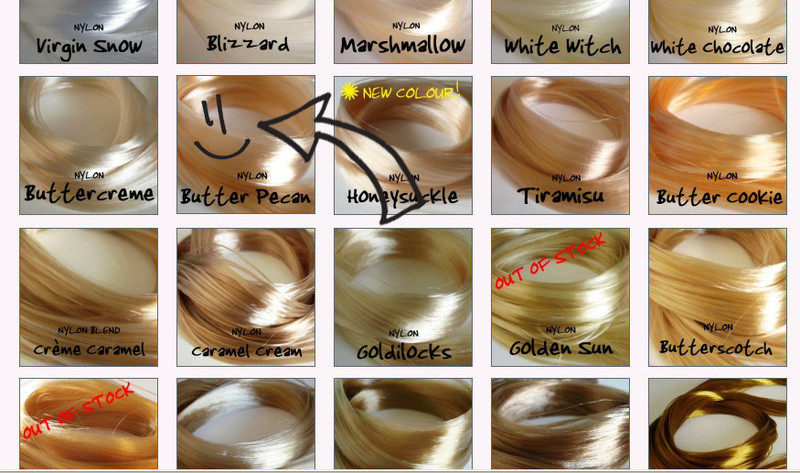 What would you like to buy? 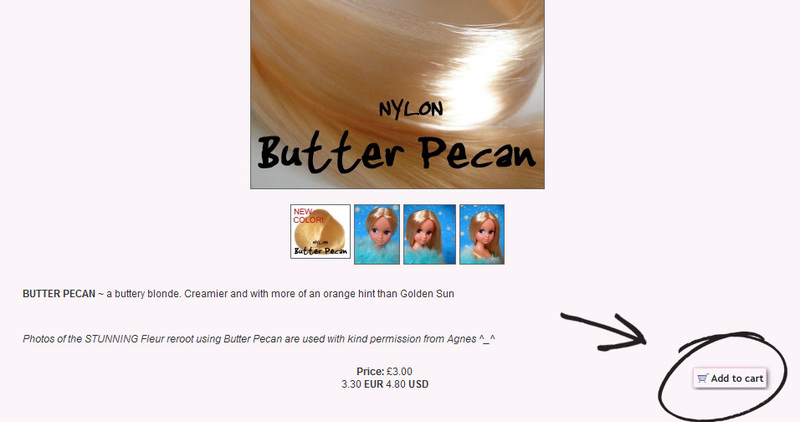 I will be using the Nylon hair as an example. 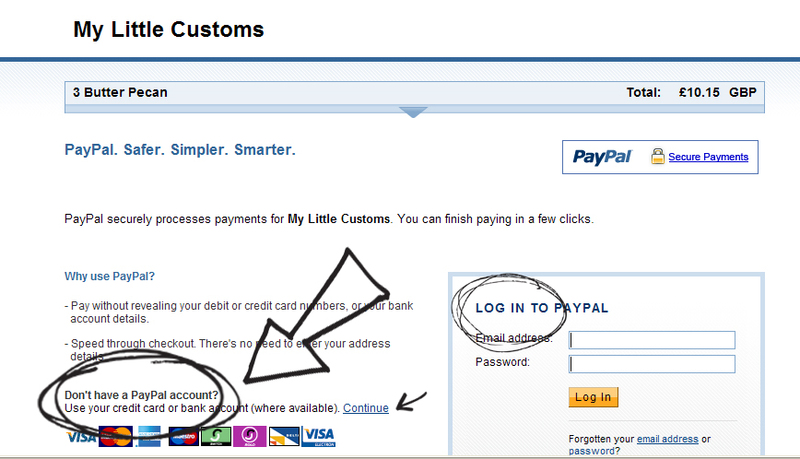 PayPal – payment via credit or debit card – or – PayPal balance should you have an account. You do not need a PayPal account for this – I will talk you through using PayPal as a credit card payment facility in a moment. If you already have a PayPal account, log in on the right and continue as normal. 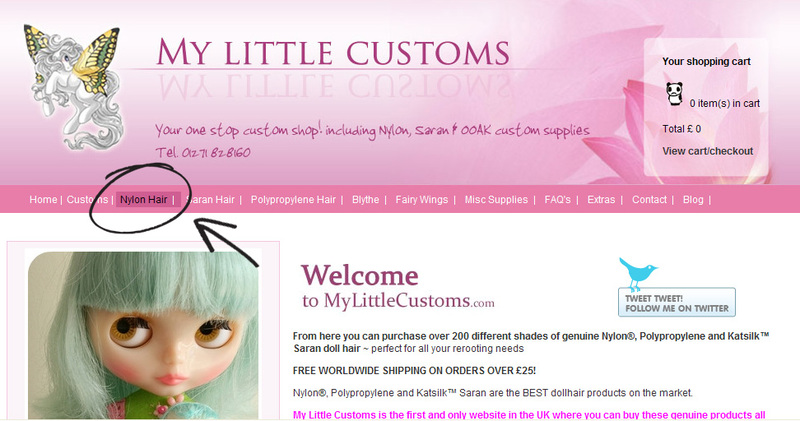 Once you have completed the steps in PayPal, you will be required back to http://www.mylitttlecustoms.com. You do NOT need a PayPal account to use PayPal. If you want to pay by credit card or debit card, follow the instructions on the left. Now you are done! 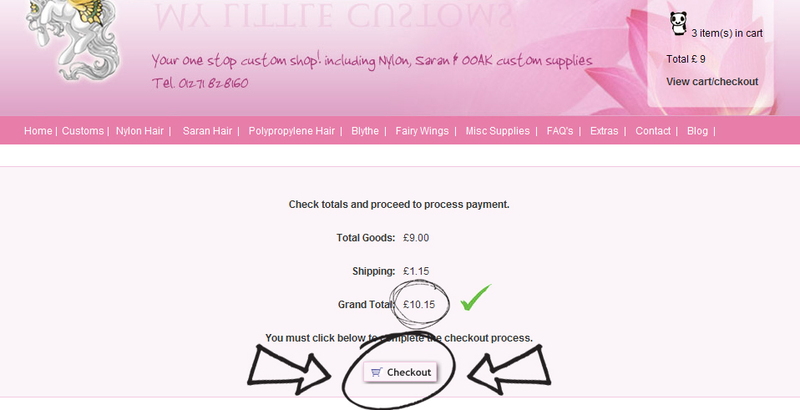 You will recieve an email confirming your order. All you have to do is sit back and wait for the postman to deliver your goodies! YAY!